The Sustainability Office is working to engage the diverse stakeholders of the Macalester community in thinking strategically about sustainability. The guiding question is “How does sustainability advance the core mission of Macalester College? Over the fall, members of the Macalester community discussed the definition of sustainability for Macalester as well as developed a vision of what we want to see in place in the next two to three years. By the spring we will have defined priority areas and developed innovative, substantial actions we can take to advance our mission. Suzanne will host a conversation about the status of sustainability strategic planning at Macalester as well as where you would like to see Macalester in the next few years. Patagonia’s Mission Statement is to “Build the best product, cause no unnecessary harm, use business to inspire and implement solutions to the environmental crisis.” Learn how one of our neighboring businesses incorporates sustainability and climate issues in their company. Currently, solar electricity (photovoltaics) is much more expensive than conventional fossil fuel-based electricity, but there has been considerable progress in recent years in reducing costs, and the industry is growing at a rate of about 25% per year. In this talk, following a brief description of solar cell technologies, the current status and future prospects of photovoltaics will be reviewed, along with a brief discussion of emerging novel approaches to PV. The Minnesota Pollution Control Agency’s Living Green Team coordinates large events and other outreach activities to help Minnesota citizens reduce their impact on the environment. At this EnviroThursday, Britt Carlson will talk about the Living Green program, with a focus on the history, planning, and outcomes the Living Green Expo and the Eco Experience at the Minnesota State Fair. In addition to learning about what one Minnesota liberal arts college grad did with an Environmental Studies degree, you’ll be inspired to attend the 2009 events and get connected to the Minnesota green community! Britt Carlson is a member of the Living Green Team at the Minnesota Pollution Control Agency. She graduated from St. Olaf college with a B.A. in Biology and Environmental Studies in 2004 and from the University of Minnesota-Duluth with a M.Ed. in Environmental Education in 2007. Other recent work experiences includes teaching at the Community Design Center of Minnesota in 2007 and at Wolf Ridge Environmental Learning Center in 2004-2005. At the time wolves were federally protected in the mid-1970’s, Minnesota contained the only known reproducing wolf population in the lower 48 states, except for that on Isle Royale. Efforts to delineate wolf distribution and enumerate populations have been made at various times over the last 50 years. Since the late 1970’s, Minnesota has monitored its statewide wolf population using an ad hoc approach that combines several sources of data. In 2007, wolves in the Western Great Lakes Distinct Population Segment were removed as a listed species under the federal Endangered Species Act. The periodic survey of Minnesota’s wolf population was moved up 1 year from its originally scheduled date (2008-09). We estimated a population point estimate of 2,921 wolves and the total wolf range in Minnesota has remained essentially unchanged (88,325 km2) since the 1997-98 survey. A Federal judge relisted Midwestern wolves in September 2008, because he believes the U.S. Fish and Wildlife Service might have made a procedural error during the delisting process. As a result, wolves in Minnesota are once again listed as a threatened species. The U.S. Fish and Wildlife Service is exploring options for responding to the court ruling and to delist Midwestern gray wolves. Before coming to the MNDNR, Dan Stark spent five years as a U.S. Fish and Wildlife Service wolf biologist in Arizona. Prior to that he served as a general wolf biologist for the U.S. Fish and Wildlife Service in New Mexico. There are essentially only three effective approaches for reduction of global warming pollution from the transportation sector: more efficient vehicles, cleaner fuels, or choices that shorten and reduce the number of trips. There are national and state legislative proposals currently active on all these fronts, and the session will highlight those initiatives and their status. What is the EcoHouse? Find out about our own Eco-Living/Learning Laboratory. 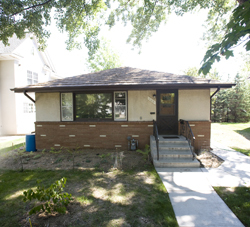 EcoHouse students will talk about the house and their projects. More than half of the world’s population lives in cities and cities are major hotspots for global biogeochemistry. In post-industrial cities, households play a major role in the biogeochemistry of urban ecosystems, accounting for half or more of the fluxes of water, energy, carbon, nitrogen, and phosphorus moving through cities. In this study, we surveyed 3,300 households in the Twin Cities to learn about consumption and emissions of C, N, and P and to learn about behavioral motivations associated with component fluxes (vehicle use, diet, household energy, air travel). Ultimately, our goal is to develop a transdisciplinary model of urban biogeochemistry that seamlessly integrates both biophysical and behavioral components. 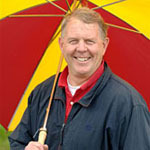 Dr. Baker is a Senior Fellow at the University of Minnesota and owner of WaterThink, LLC. Previously, he was on the faculty of the Department of Civil and Environmental Engineering Department at Arizona State University. He has published more than 100 technical papers on environmental chemistry, environmental engineering, water quality management, and urban ecosystems. His most edited recent book, The Water Environment of Cities, seeks to develop a holistic view of the urban water environment. The National Park Service has begun the ecological restoration of areas along a 72-mile stretch of the upper Mississippi River known as the Mississippi National River and Recreation Area. These projects aim to ecologically restore degraded landscapes by removing invasive species and planting native vegetation. The Park Service uses species compositions from pre-settlement Minnesota to inform its restoration efforts. I have investigated what plant species grew in the region centered around the confluence of the Mississippi and Minnesota rivers through extensive research into eighteenth and nineteenth century sources such as the journals and notes of Euro-American explorers, government land surveys, and Native American cultural uses of plants. My research has culminated in an extensive list of vegetation that grew along the river in what is now the Twin Cities, which the Park Service can use in its restoration of historical landscapes. My project illustrates the uses of a historical perspective to research and understand the underlying philosophy and values of the field of ecological restoration. Three primary analyses were performed on a core from Lake Josephine, Glacier National Park, MT. XRD data was translated into calendar age using a software program, and the core revealed a record of around 3000 years before present. %TOC results describe solar forcing of the record, and show climate patterns over this time span. %TIC and mineral presence act as a proxy for fluctuations of Grinnell Glacier, which feeds Lake Josephine. The presence of Organic Material in the core describes terrestrial inputs to the lake and vegetation surrounding it. These results are compared to data from a second core in order to paint a picture of climate and environmental change in this area during the late Holocene. Dr. John Ehrmann is very engaged as a third party assisting diverse interest groups develop consensus on various aspects of climate policy. He currently serves as the Executive Director of the US Climate Action Partnership (USCAP), a coalition of major corporations (e.g., GE, DuPont, Dow, GM, Duke Energy) and NGOs (e.g., NRDC, EDF, TNC) dedicated to the passage of mandatory US climate legislation. He will provide an overview of USCAP’s Blueprint for Legislative Action and discuss the current status, opportunities and challenges associated with the development of US climate legislation, in the context of the international climate negotiations. This presentation will offer an overview of cap and trade, investing in offsets in developing countries, international negotiations and the impact all of this has on the concept of global citizenship. 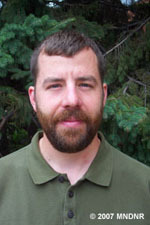 Andrew Crone is a 1994 Economics and Environmental Studies Macalester grad. His is currently pursuing his Juris Doctorate at Hamline University. 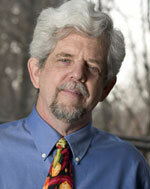 Andrew is also a consultant providing multi-sector organizational strategic planning. There has been a lot of talk about Macalester being a leader in combating climate change, but what does that mean? Justin Lee from the Sustainability Office will be discussing this year’s greenhouse gas emissions inventory as well as the results of two sustainability assessment systems – the Sustainability Tracking, Rating and Assessment System and the Campus Sustainability Academic Framework. Come and see how Macalester is doing. Where are we doing well, and where should we focus in the future? Come join us as the members of the Environmental Studies Senior Seminar share their recommendations for reducing Macalester’s impact on the climate. By signing the American College and University Presidents Climate Commitment, we committed to setting a climate neutrality target date and developing an institutional climate action plan. The Environmental Studies Senior Seminar this spring as their class project researched options and developed recommendations for this action plan.